OEM Manufacturer of a wide range of products which include tee fittings, stainless steel pipe fitting and stainless steel fittings. 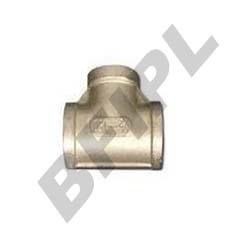 We are manufacturer and exporter of a varied array of top quality Tee Fittings. These piping components are T-shaped and they are commonly used to provide extension of another pipe line. These products have been forged with the latest advanced scientific technologies and high grade raw materials to ensure that they are more durable, stronger and harder than the competitive products. Compliant to the international standard, they are available in various sizes to meet our valued clients’ requirements. In addition, they are available at attractive prices. 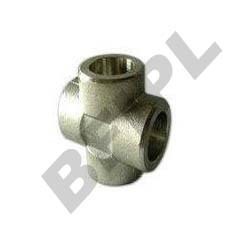 We are engaged in manufacturing and exporting of the finest quality Stainless Steel Fittings. Specially forged with high grade raw materials and most advanced scientific technologies, these products are highly recommended for ultimate strength, durability and hardness, and used in various piping purposes. These products have been checked and tested on various required parameters to ensure that they are with accordance to the international standard. Furthermore, these products are available at competitive prices. Looking for Stainless Steel Fittings ?